Description: Fairfield Fibers have a variety of fillings, weighted stuffing material and lightweight stuffing materials for use in toys, dolls and pillows. The fiber is processed using an extraordinary method which creates a random arrangement of fibers and maximizes filling power. 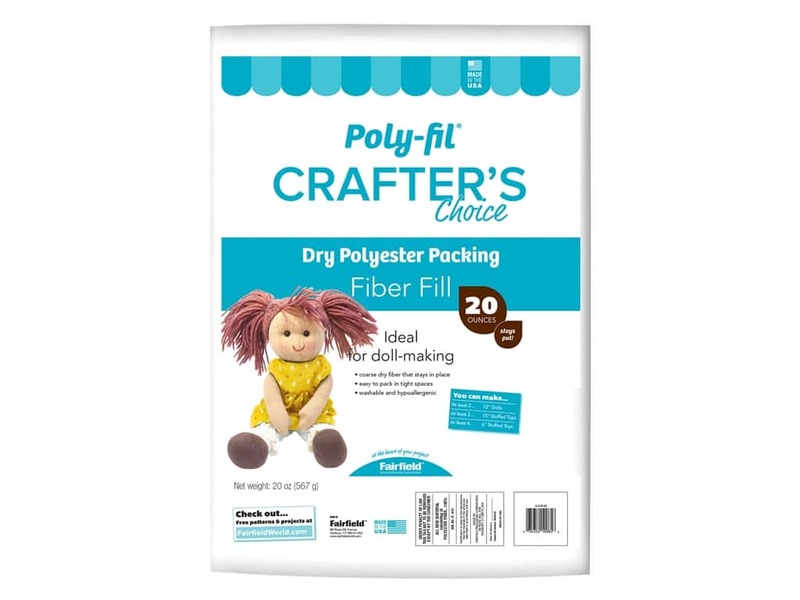 Crafter's Choice Dry Bag 20oz- 100% polyester, a coarse dry fiber that stays in place. It is washable and non-allergenic, and it is ideal for firmly stuffed dolls and bears.